The Ivy School, a 1st – 8th grade public Montessori school with Spanish-language study, is located at NE 42nd street and Prescott. The school opened for the 2009-2010 academic year and just completed its third year. Since September 2011, the school has been operating their upper elementary classrooms (grades 4 – 6) in the Eliot neighborhood at Immaculate Heart’s classroom building across from Dawson park. Maria’s Place, a sliding scale Montessori preschool (a 3yr to 6 yr community), shares the building with the upper elementary students. Back in September both schools remodeled the building with a fresh coat of paint, new wood laminate floors and wood furniture. Best of all, they removed the bars that covered the large windows of the lovely brick building, opening the beautiful classrooms to Morris ST and N Williams Ave. It is wonderful to walk by and see the children working in the classroom, and to see Dawson park full of children throughout the day! The mission of the Ivy school is to inspire children of diverse backgrounds to be lifelong, independent learners who value responsibility and embody peace. The school engages in a dynamic Montessori curriculum which allows for exploration of the world around them. Through creative and challenging multi-sensorial instruction, Ivy students develop critical thinking skills necessary to be global citizens. The Ivy educators are reflective by implementing best practices through Montessori philosophy and materials, state standards, authentic assessment an student interest. The Ivy school has partnered with Eliot neighbor’s SCRAP and Project Grow. The upper elementary students, along with members of Port City (adults with disabilities) also interviewed Eliot residents for the Eliot Oral History Project. Fortunately, there is still room in the 6, 7, and 8th grade classrooms for next year, and the school is currently wait-listing 1st through 5th grade. 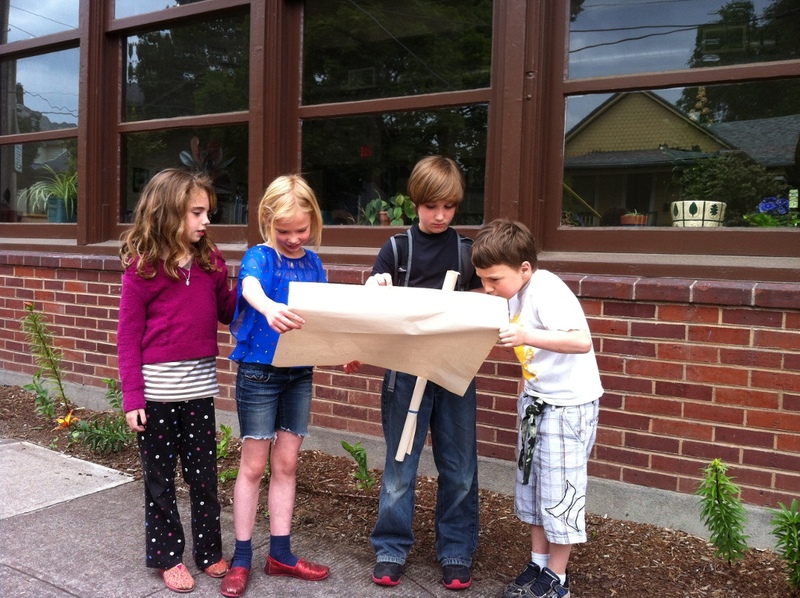 For more information, call 503-288-8820, email colleen@theivyschool.com, or go to www.theivyschool.org. If you see an Ivy student walking by, say hello! The school loves being in our neighborhood!